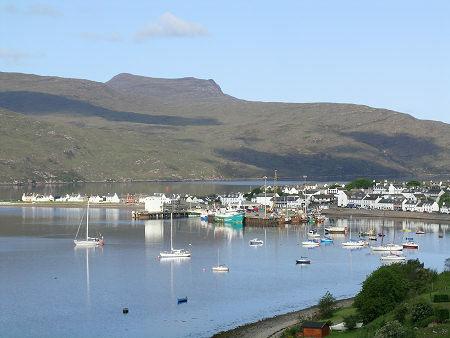 The Post Easter Weekend - Ullapool here we come again. For our 2019 Easter weekend run (not quite Easter as we have moved the dates to the following weekend) we’ll be returning one of the very best areas of Scotland in which to enjoy driving your MX-5, Ullapool, Wester Ross. We absolutely love this wild and beautiful area of Scotland, dominated by imposing mountains and breathtaking scenery. When you include some of the very best MX-5 style roads in Europe (which should be even quieter after the Easter weekend), the area is absolutely worth visiting whatever the weather. Once again we have managed to negotiate a great deal with the hotel with only a very modest increase of £10 per couple. Dinner Bed and Breakfast in a balcony room (where avaiable) overlooking Loch Broom for only £150.00 per couple per night. The hotel is holding 20 rooms for us until the end of January. To avoid disappointment make sure you phone the hotel to book your room ASAP. Make sure you quote The MX5 Central to ensure you receive the above rates. A slight change to the “normal” is that the run homeward will not be programmed, allowing you to chose which way you would like to go, be it down to Kyle and across to Fort William, or back to Inverness and down Loch Ness, or cutting back to take in Pitlochry and Perth. Your choice. We will not be having any egg decoration competitions this time, but we are still having the egg rolling competion with the famous Wattie Launcher Apparatus. So please bring along a hard boiled egg - only decoration needed on the egg is your name so we can identify the winners. A raffle will also be held with the proceeds this year going to our chosen charity for 2019. Donations of prizes are always welcome. 2nd Stop: The Garth Hotel, Granton on Spey. Lunch -Soup, Sandwiches & tea/coffee for £10.50 per head. 2 - Click here to download route document. Print off your own copy if you want it. 3 - Click here for Google map of route. Click here for instructions on how to download file to your TomTom. The Easter Sunday drive takes us deep into Assynt, passing through Lochinver, Clashnessie, Drumbeg and Kylesku. The magnificent mountain views of Stac Pollaidh, Suilven and Canisp are just a small sample of the stunning views and spectacular scenery we’ll encounter during the day. This run will be shorter than usual which allows us to have more stops for photos, toilets etc. We intend to spend around an hour in Lochinver for lunch at the Pie Shop or other venue of your choice and a stop at Kylesku for photo stop. We will also have the egg rolling competition after lunch at Clashnessie on route. So remember to bring your hard-boiled egg along. 2 - Click here for Google map of route here. If you want to choose any of these, then go to the relevant run page and download route. If not choose your own way home.